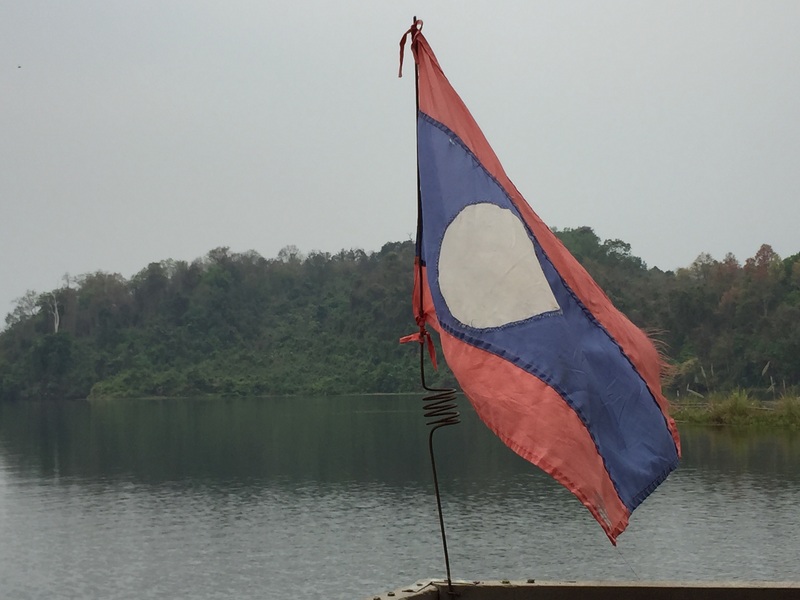 My third day out in Laos was the one I was the most excited about. 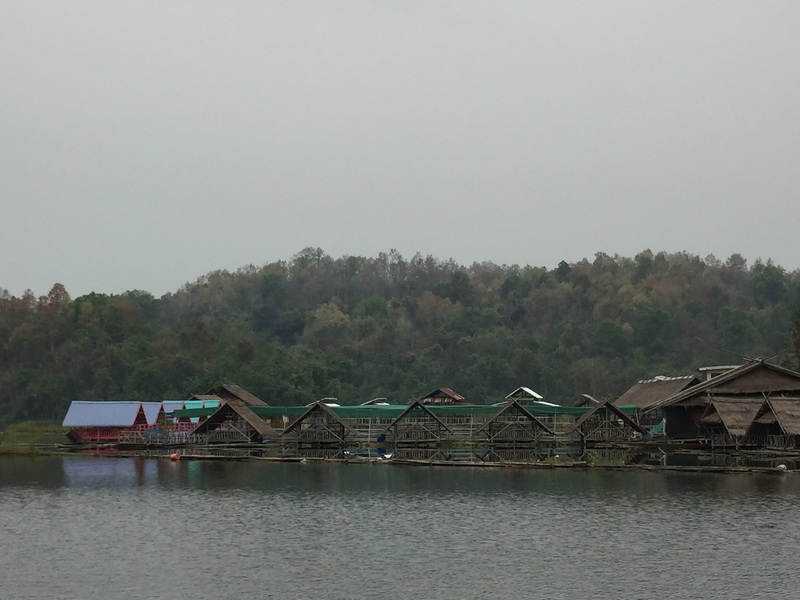 It was the day where I was going to leave Luang Prabang behind and take a two hour trip to the less populated part of the country in the provenance of Soyaboury. The lifestyle in this part of the country was a little more simple. It wasn’t so much about tourist and café streets where I could sip a drink and watch the crowds mingle in a facsimile of a small town in France. Instead, the people found a way to live off of the land. Mainly this was done through fishing on the lake we ended up on, but there were also plantations around here and small towns to supply the people of this area what they needed to survive comfortably. The houses weren’t as fancy either. I stayed in a cabin in the middle of the forest on the edge of the lake. There was some electricity to the place but that created only at night and with the use of a generator. And I was forced to get off the grid because there was no internet service or wifi available anywhere. It was great because I was able to return to the simplicity of the wilderness that I had not been able to experience for a long time, and I was reveling in the experience. But all of these things were not the real reason that I went out to this remote place. It was to visit the Elephant Conservation Center and witness all of the amazing work they are doing with these elephants in this region of the world. 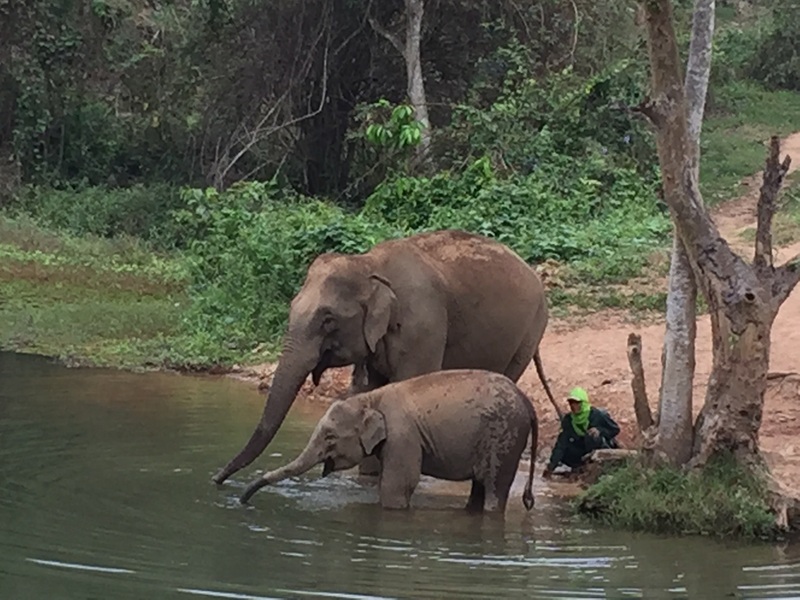 The name Laos use to translate into the land of a million elephants. Now, I am pretty sure that the population of these beasts was never that large in this area of the world, but the idea that elephants were all over the place probably was. 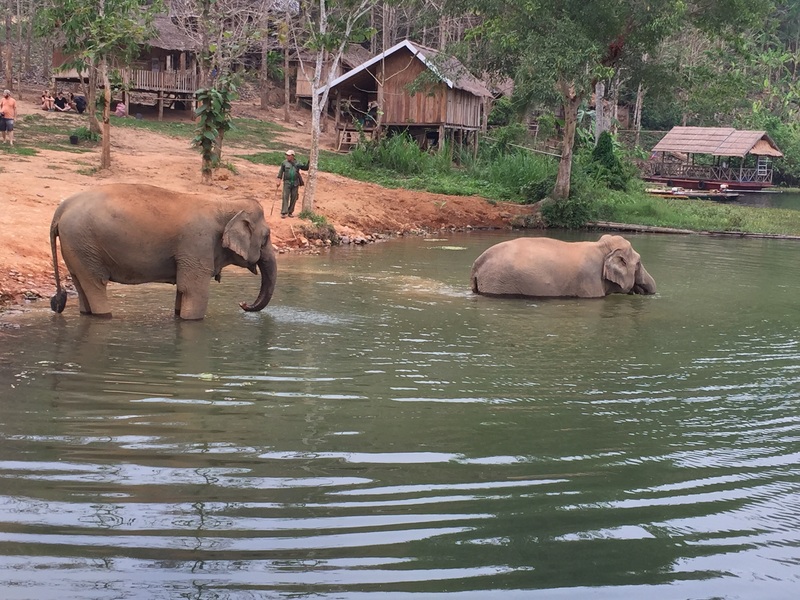 These gentle beasts had been domesticated by the people of Laos over a thousand years ago and they were used to help with gathering the wood that people needed in order to build houses, and support themselves. For many centuries this structure maintained a strong economic structure allowing the country to continue peacefully in a symbiotic balance. But then the logging industry came in and the tree population started to decline and more elephants were needed to help deplete the forest. The people who were trained to handle these creatures could not train enough people to train the animals in the proper way, and soon the animals were abused. Because of this many things happened. The forest grew small and wasn’t able to support the wild population of the elephants. The animals were forced to find food at people’s farms and were executed because of this. Many of the elephants were also sold for great profit to Chinese wealthy individuals who used many parts of the animals for old remedies that they believed still worked. The population of the animals fell in both the wild and domesticated populations leaving the country with an estimated 800 animals that are left today. This is when the Laos government stepped in. They were trying to save what was left of the forest and what was left of the elephants. They banned the logging industry and the animals who were beasts of burden were forced to move to tourist supported camps. The abuse there got even worse. 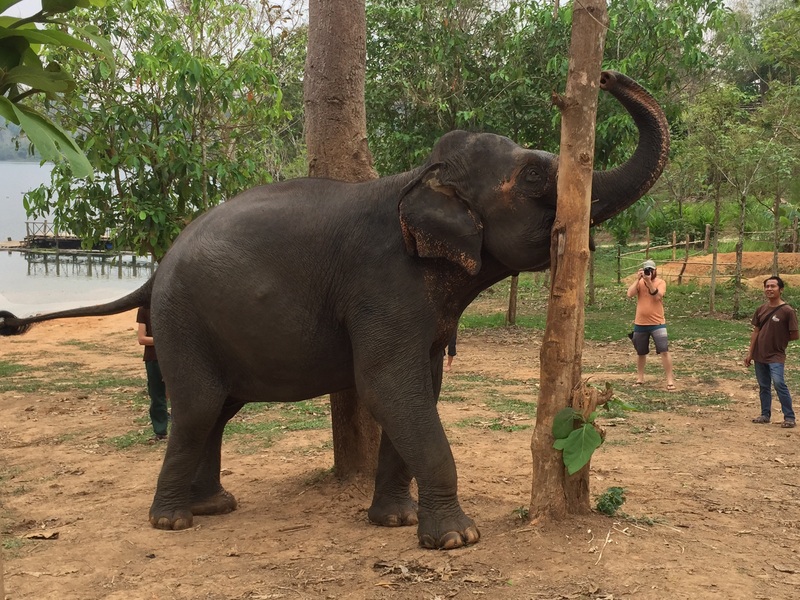 The mahouts, the trainers of elephants, would train them by using a large hook and tapping the animals in certain places to get them to do what they wanted them to do. 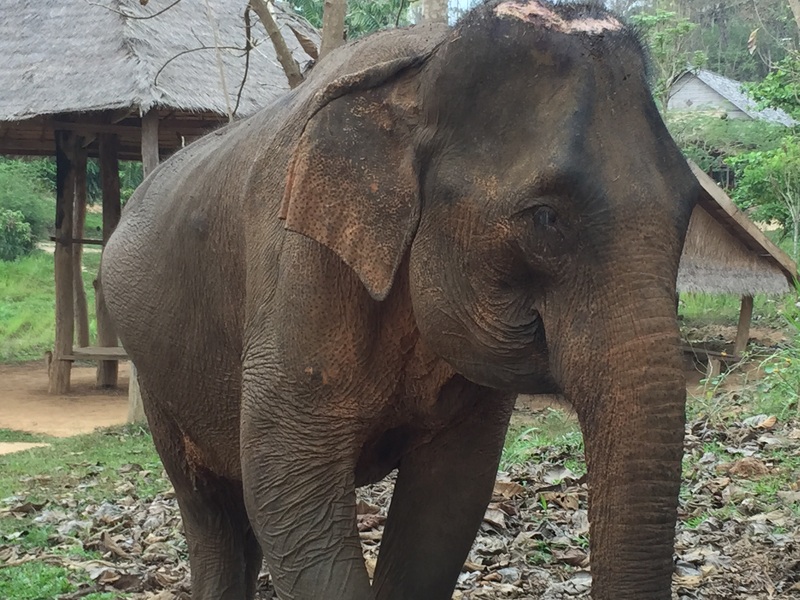 Because of the untrained mahouts that were working these tourist camps, they did not know how to use their tools correctly, and would hit the animals way too hard. It would leave areas of scars on the animals similar to what can be seen on the head of the female elephant pictured above. Some of these abuses eventually led to death. 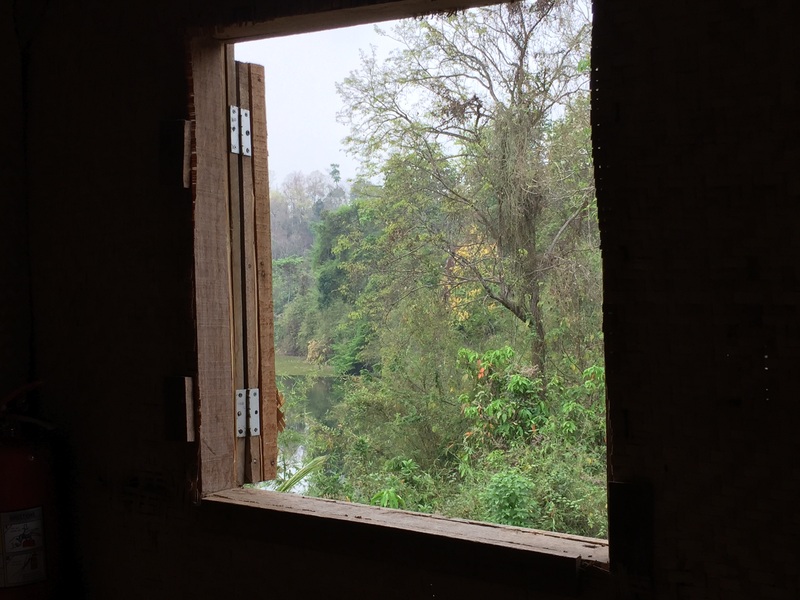 This is where the Elephant Conservation Center came into play. The people that run this center were not looking to use elephants for commercial reasons. They, instead, were trying to save elephants, and then train them to eventually return to the wild. They have also been working on a breeding program to help bring the population back up to where it once used to be. 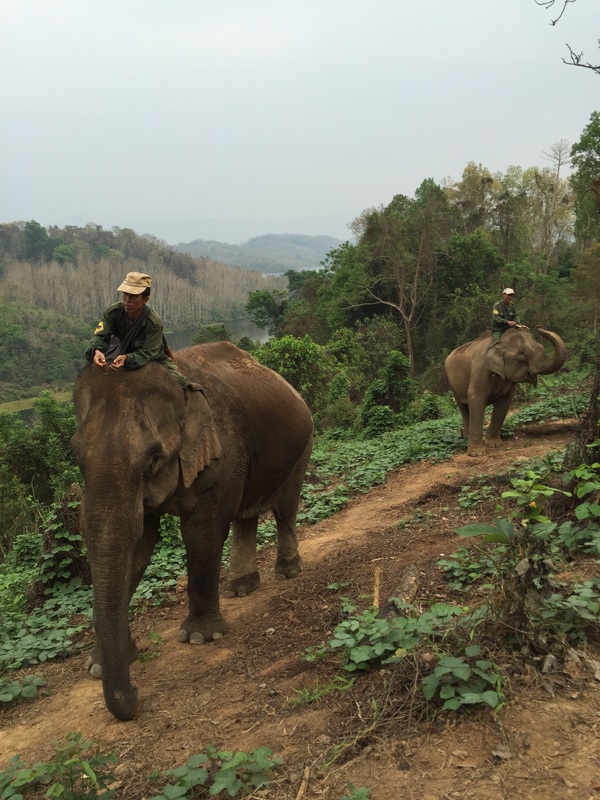 They have hired skilled mahouts to help in this process, and what started off with only three elephants seven years ago has grown into a population of thirty. They have saved a few elephants from the terrible fate of having to work the tourist camps that don’t treat the elephants kindly, and they have even recently been donated 13 elephants that were scheduled to move to a zoo in Dubai. Their efforts are some truly amazing things to see, and I was glad to have been able to spend two days and three night learning about all of the great things that they were doing at this place. 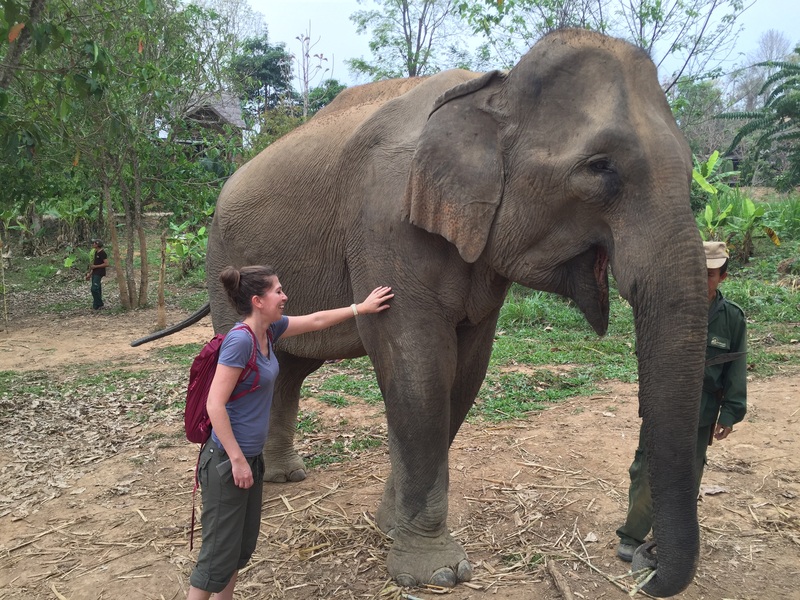 I will tell you more about what they have done in my next couple of posts, but in the meantime, if you would like to find out more or would like to help by contributing to this great organization, you can contact them at http://www.elephantconservationcenter.com.